Mathematically: V = IR. 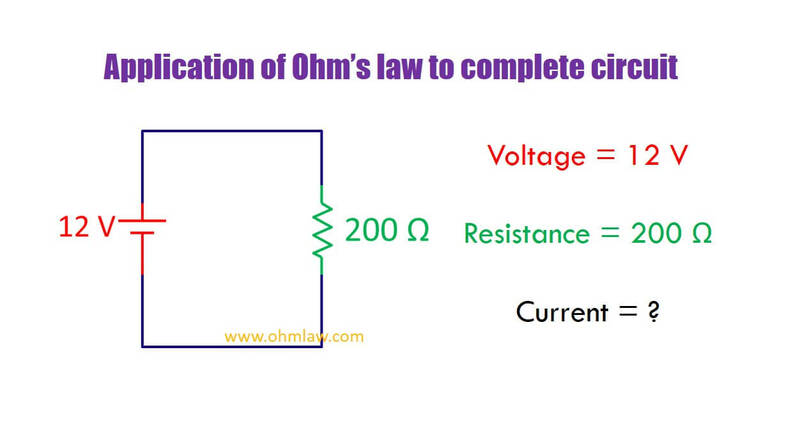 In this article, you’ll learn the application of Ohm’s law to complete the circuit. This tutorial assumes you understand fundamental concepts, if not, you can start learning the Ohm’s law here. The input voltage to the 200 ohms resistor is provided by a 12 V dc battery. We are interested in finding unknown current (I) through the circuit. 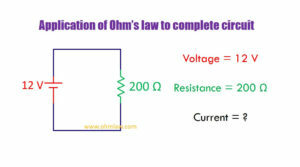 The current I is the ratio of voltage to a resistance.